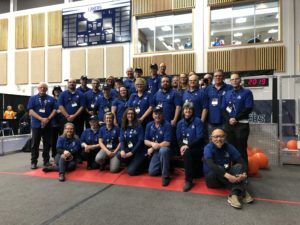 FIRST Robotics Deep Space Competition was in North Bay at the end of March for an intense three-day event showcasing robots developed and operated by teams of high school aged students from all over Ontario. 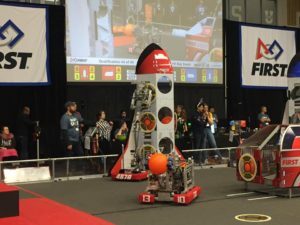 Thirty five teams with over 900 high school students competed. This event combined the excitement of sport with the rigours of science and technology. 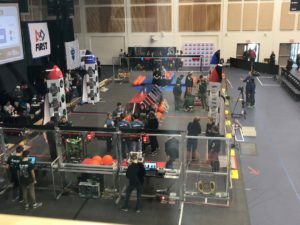 High school students showcased their design and engineering skills and competed in Canada’s largest high school robotics competition. 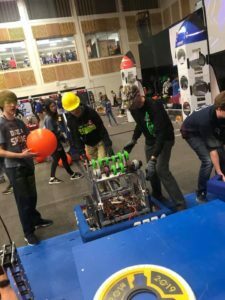 With strict rules and limited resources, the teams raised funds, designed a team brand, honed teamwork skills, and built and programmed robots to perform prescribed tasks against a field of competitors. 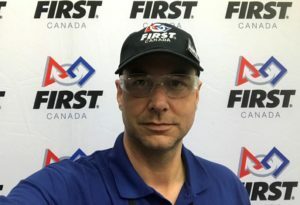 Thomas Palangio had the honour of being one of the judges again this year and brought with him one of our technical specialists to enjoy the competition as well. 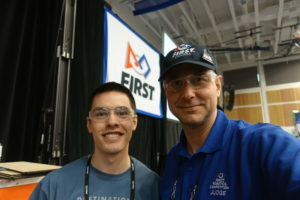 The FIRST Robotics Competition provides an educational and engineering environment for students to learn skills that aid in future job placement. It couples international teams made of students and professional engineers to overcome design and functionality obstacles. FIRST’s competition brings out the competitiveness of life with the fun of learning. This year, FIRST Team 1305 Ice Cubed of North Bay repeated as champions of the North Bay District Robotics and also won the Chairman’s Award. 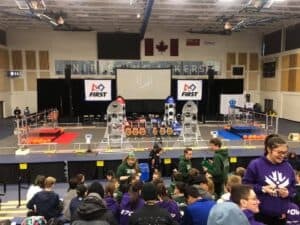 Ice Cubed partnered with FIRST Team 4917 Sir Lancerbot from Elmira and FIRST Team 4519 King’s Robotics from Oakville to win the district event. Congratulations to all the competitors who participated in this event. We look forward to your return to North Bay.